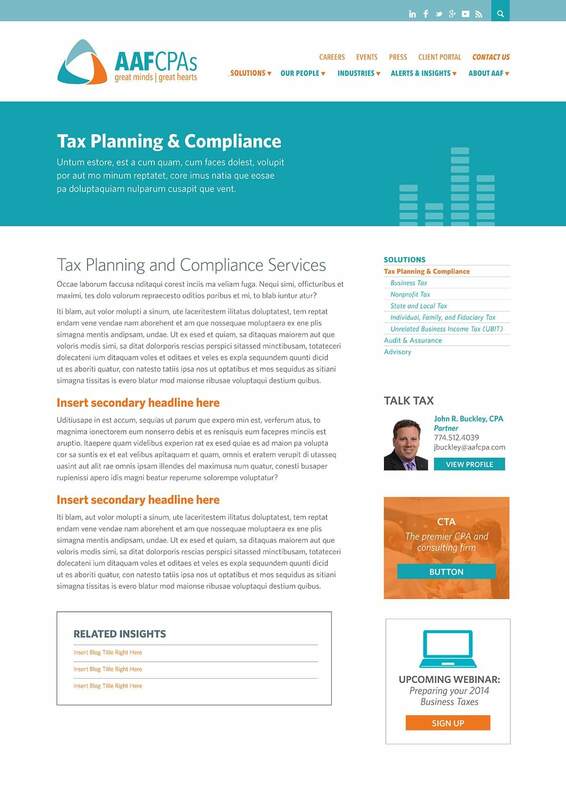 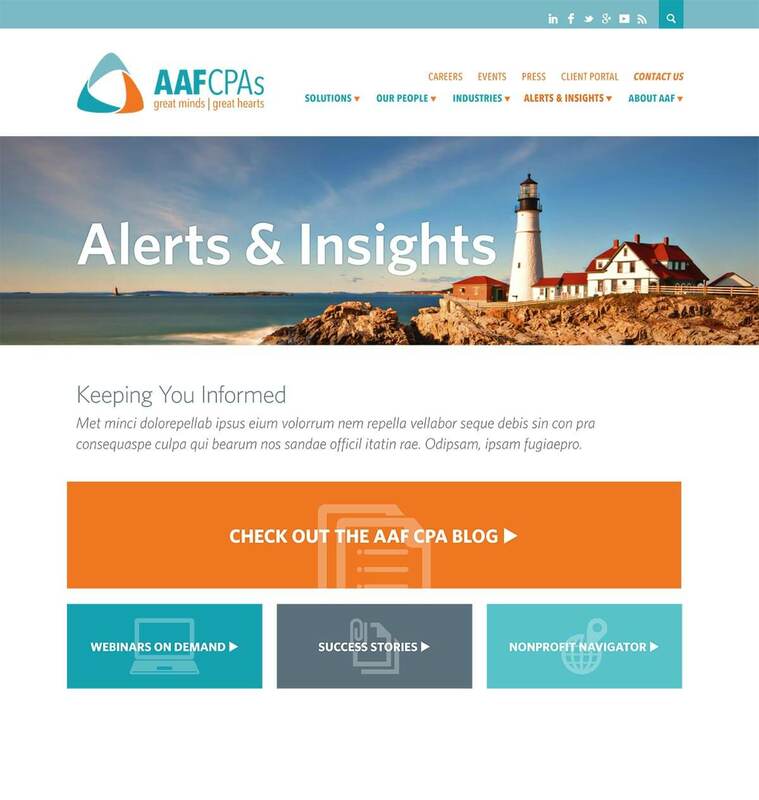 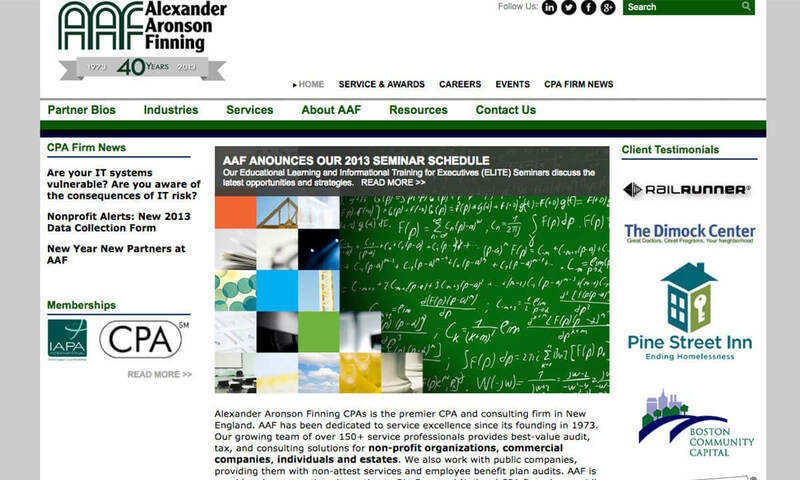 The Bop Design team designed more compelling and credible marketing platforms for Boston accounting firm, AAFCPAs. 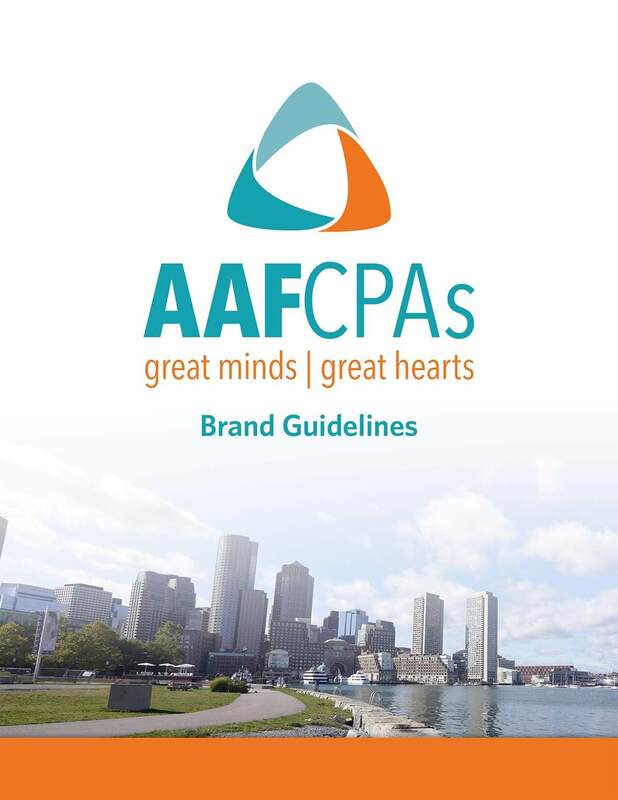 The new marketing materials position the firm as socially conscious, global and cutting edge. 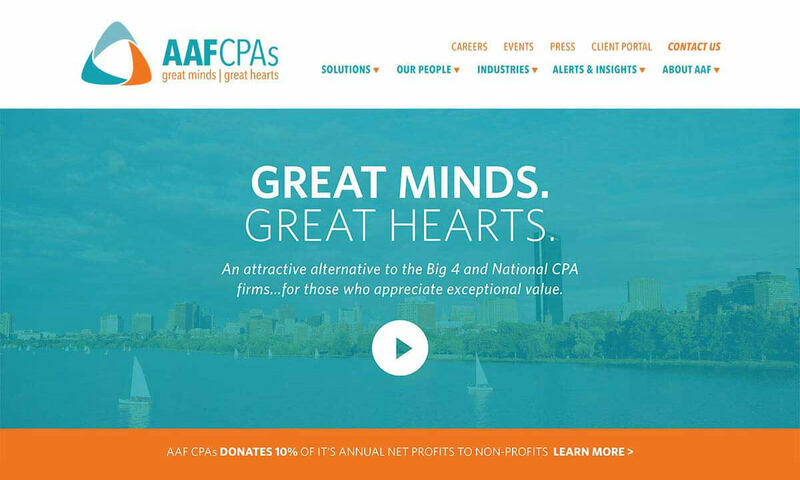 The new accounting web design balances AAFCPAs’ non-profit accounting activity with its successful work with for-profit companies.